The growing expectation that brands should make meaningful contributions to the world has put pressure on marketers to find profitable ways to do so. They must carefully select causes that align with the brand’s ethos and can be seamlessly woven into their business models. But how to find such rare pearls? The answer lies, in part, with data. According to industry reports, roughly 2.5 quintillion bytes of data are created daily. They capture attitudes, choices and interactions that cut across categories, countries and demographics. Using mobile technologies as a catalyst, the media and advertising industries are already leveraging this tech-enabled proliferation of information as a tool to maximise reach and optimise messaging. But the power of this data is so much greater. The abundance of ‘in the moment’ information has the potential to explain behaviour through modelling, pattern recognition and predictive algorithms. This data analysis is opening new doors, enabling brands and businesses to collaborate on more ambitious and life-altering projects than ever before. In recent years, a number of organisations like the Data-Pop Alliance and Data for Good have emerged to leverage data for social ends. In October, the Huffington Post published an article by Marquis Cabrera about the collaboration between the UN and 500 startups to investment in Big Data for Social Good. One example is Glow, a company that has develop an app using big data to empower women to gain better insights into their reproductive systems. A second example is IBM’s Canadian Smarter Health study, which aggregates millions of data elements from monitors in ICU’s to identify early warning signs of potential newborn infections, pinpointing issues that even the most experienced doctor would not have caught using traditional practices. Identification: Data as a means to discover opportunities for action or engagement. Google is playing in this arena, leveraging its search engine tools to help match brands and not-for-profits to specific causes. Social listening data helped AT&T to identify the growing sensitivity to texting while driving as a relevant cause and communications platform. Empowerment: Data-driven intelligence (often open source) to inform design and innovation solutions. Panasonic’s collaboration with 11 partners to create Fujisawa Sustainable Smart Town, a brand new sustainable city outside of Tokyo, is an exciting example of this. When the city opened in 2014, its community centre immediately began collecting data to evaluate in real time the synergistic potential of various low-carbon technologies. The goal is to generate better predictive models to design and build the sustainable cities of future. Panasonic sees this investment as the best means to stay ahead of the curve while building their reputation for resilient design. Measurement: Data analysis to benchmark and track the impact of programs and activities. In Bhopal, India, the Panna Tiger Reserve is using drones (unmanned aerial vehicles) to safeguard against tiger poachers. The data collected has allowed it to improve the efficacy of its efforts and to prove the impact of its activities, thus encouraging greater support and funding for its initiatives. Another encouraging example of empowerment and measurement is the Daniel Project: Intel’s collaboration with Not Impossible Labs to 3D-print prosthetic arms for a 14-year old war victim. Intel’s data competencies contributed significantly to the technological solution. The video of this initiative, shared on social media, captured the hearts and imaginations of consumers across the world and earned Intel more than a half-billion online impressions, an impressive quantification of the intrinsic value of social branding. These and other examples provide an early road map for brands that seek to become more powerful social actors by leveraging smart data to guide their strategic engagements. In a world where consumers are looking to define their socially constructed selves to be more aligned with who they aspire to be, the role of the brands in their lives takes on new meaning. 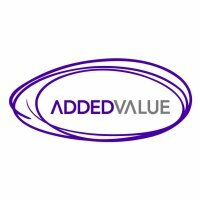 Added Value expects to see a growing pool of pro-social brands using data to find the causes that are true to their essence, translating that data into fuel for social innovation and measuring their impacts to celebrate success and correct missteps. Along the way, they will be building consumer trust and discovering the opportunities that will sustain their businesses well into the future.